If you grew up with Christmas, then you know that it can make otherwise sane adults get quite silly. I am not immune from this effect – far from it! 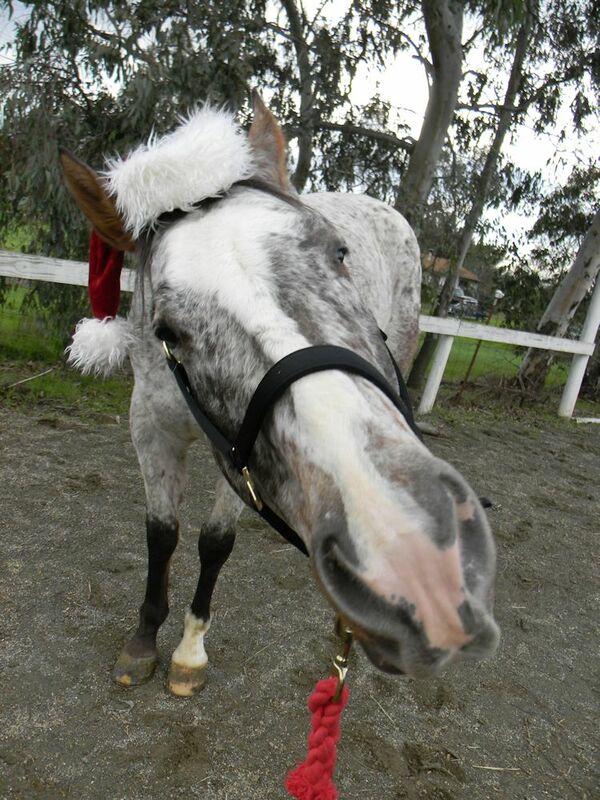 With a few exceptions, most Christmas seasons I go back to being the kid who believes in Santa Claus. 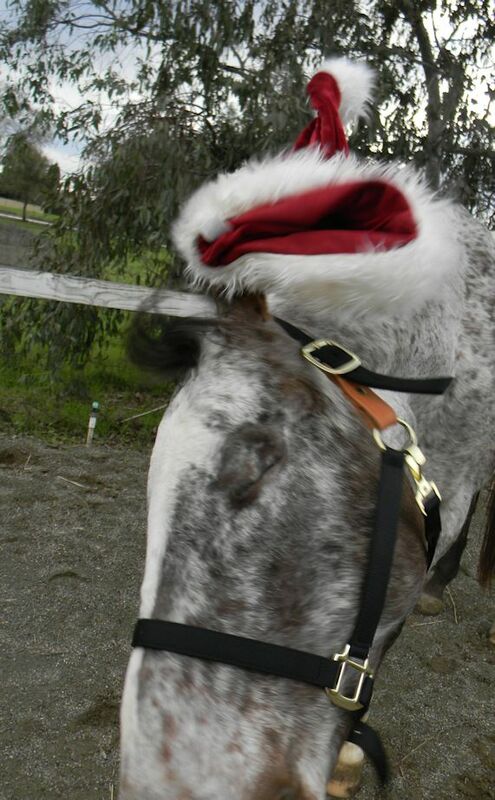 But, my spirit of fun can leave innocent victims in its wake … take our recent Santa hat photo day. 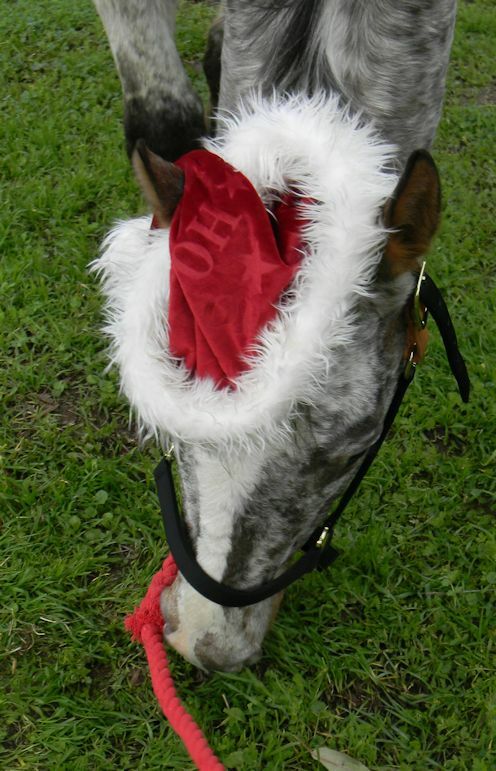 I am not one prone to dressing up my animals – no silly Halloween costumes, no matching booties and hat. 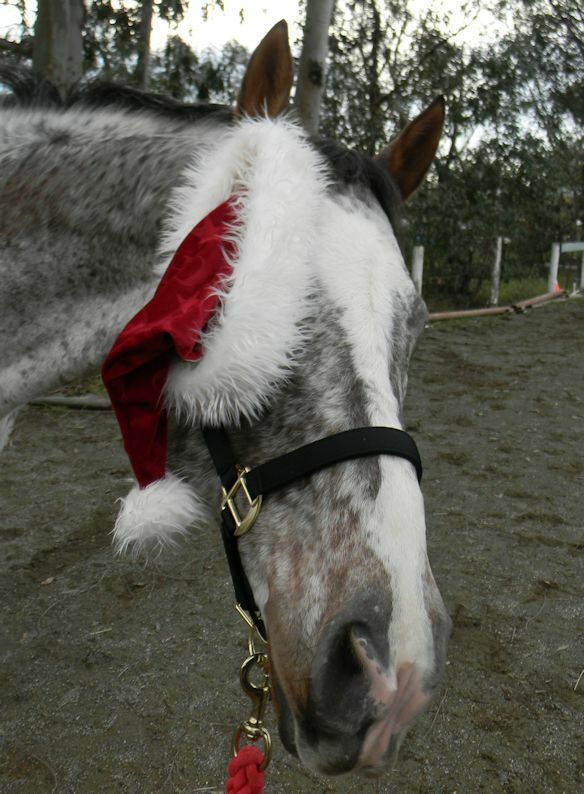 As my dog Macie can attest, horses are not my only Santa Hat victims. 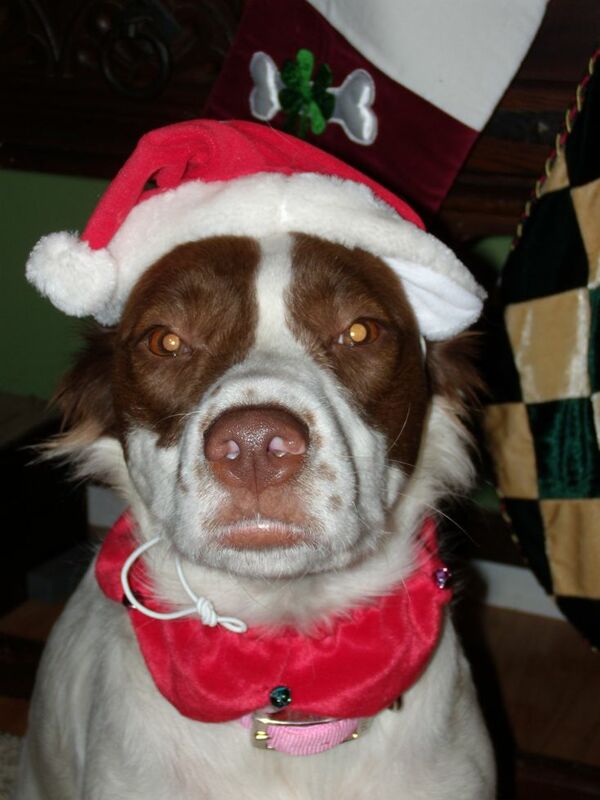 Here Macie is doing her best Grinch impression. My critters’ clothing is limited to the purely utilitarian: blankets for warmth, boots for protection, etc. 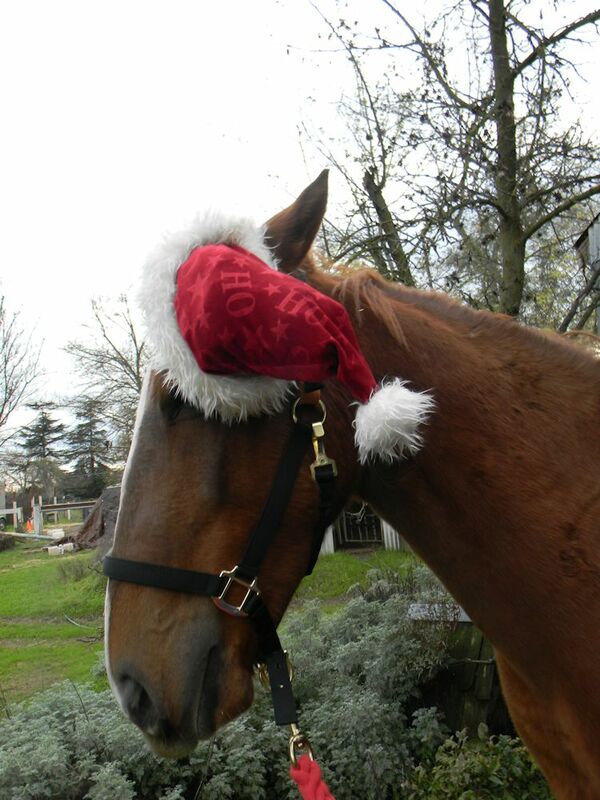 But when it comes to a Santa hat, all bets are off! No one is immune from donning the fuzzy red and white topper for posterity. There are many more where those came from. He was as patient as a saint, but not a very cooperative saint! Still, we ended up with one or two successful shots. But even when the hat fell over, he handled it with great tolerance … this bodes well for the future silliness of life with me! 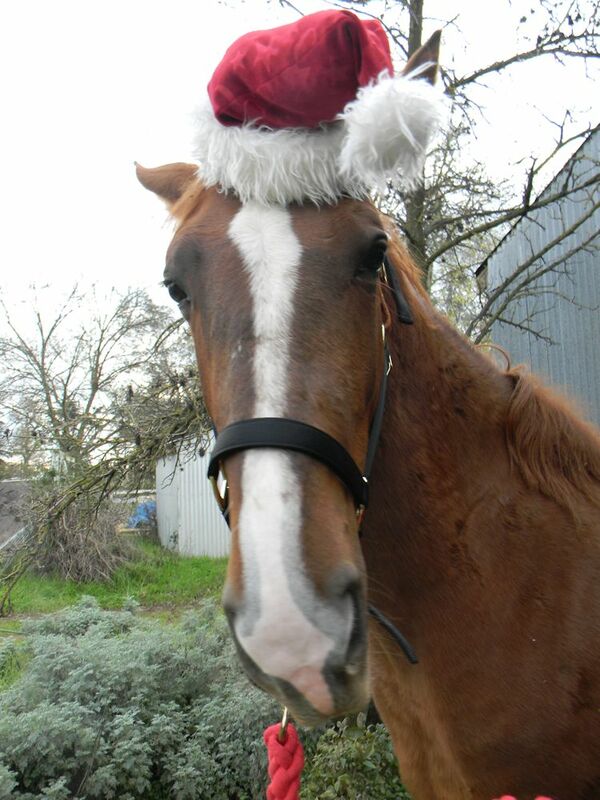 Well, Christmas has finally come, and with it a reprieve for the horses having to wear silly human clothing … for another year, anyway! From my family, furred and otherwise, to yours – whatever you celebrate this December, we wish you all the warmth of the season. And may you find many joyful adventures awaiting you in the New Year! 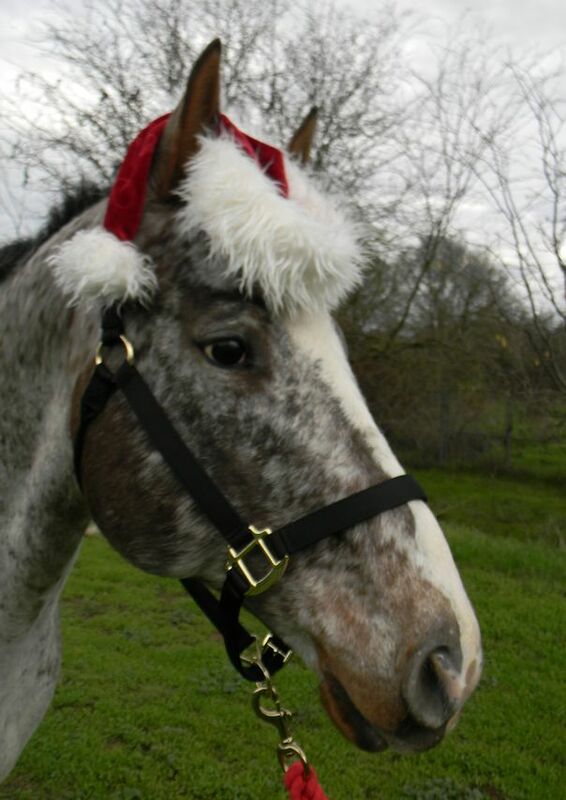 This entry was posted in Just For Fun and tagged Coffee, dress up, Happy Holidays, hats, Merry Christmas, Nash, Noble, Santa, Tally. Bookmark the permalink.